Shankarrao Chavan had served as chief minister of Maharashtra twice from 1975 to 1977 and from March 1986 to June 1988. 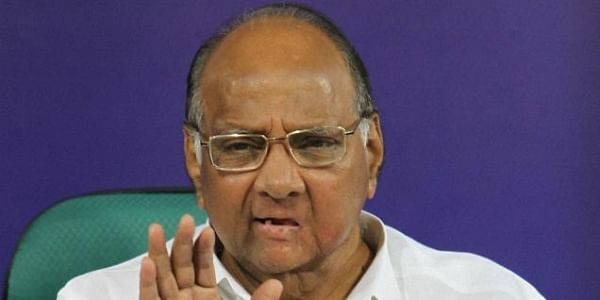 MUMBAI: NCP President Sharad Pawar will be on a day-long visit to Nanded tomorrow where he would be awarded D.Lit degree by Swami Ramanand Teerth (SRT) University. Pawar, who recently completed 50 years in electoral politics, will pay homage to former union Home Minister S B Chavan on his 13th death anniversary at his samadhi at Yeshwant College ground in the morning. He would be accompanied by the late leader's son and state Congress president Ashok Chavan, according to Congress sources. Shankarrao Chavan had served as chief minister of Maharashtra twice from 1975 to 1977 and from March 1986 to June 1988. The NCP chief succeeded Chavan as CM on June 26, 1988 in his second term as chief minister. Pawar's visit to Chavan's memorial and meetings with Ashok Chavan assumes significance against the backdrop of the Congress and the NCP faring poorly in the recent civic polls to 10 cities and BJP denting the Congress-NCP rural base in the Zilla Parishad polls.